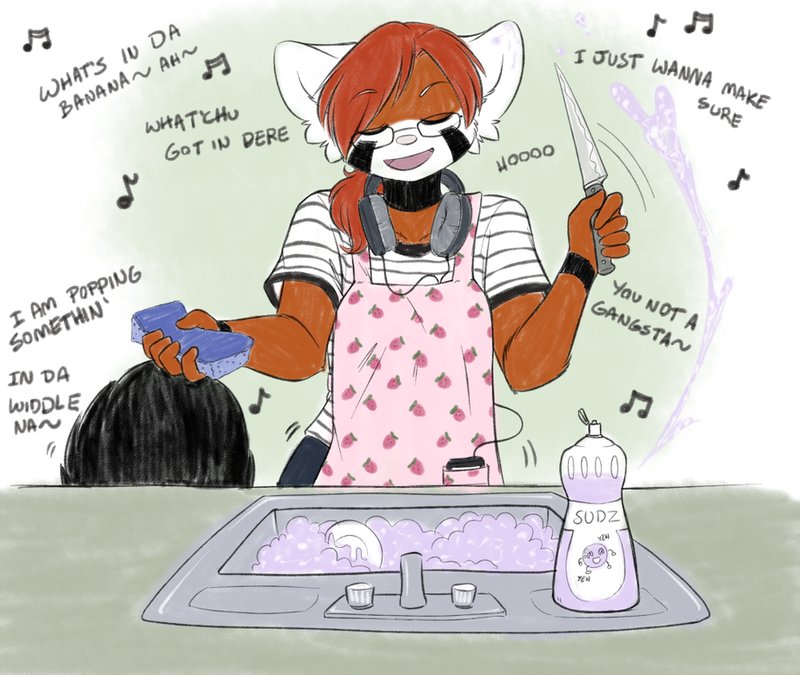 I should probably stop dancing around while I do the dishes, especially if there are knives involved. But I just gotta dance to that banana beat. This a problem that I have... frequently. Daylight come and I wanna go home? Work all night on a drink o' rum. Stack banana 'til the morning come! Come meesta tally-mon, tally me banana..
Stack banana 'til the morning come! Come meesta tally-mon, tally me banana.. Lift 6-foot, 7-foot, 8-foot bunch? Gonna slice those dinner plates off? I'm now officially never walking into a kitchen with someone washing dishes again.